Weekends are either enormously busy or incredibly relaxed. Given my idle ideals, I much prefer the latter option, especially after the usual whirlwind week of full-time employment and important parental duties such as overseeing teeth brushing, finding missing socks, making sure my daughters look presentable for school, finding school reading books, fetching food and drink, finding a missing glove (there’s always a missing glove, and missing things in general), overseeing more teeth brushing and reading bedtime stories. I’m worn out just thinking about it. As my beloved and I both work full-time, weekends often involve the glamour of getting all the clothes washed and ironed for another week of paint, food stains and general mess (and that’s just my clothes). Last Sunday evening, all four of us sat down to indulge in a family film. 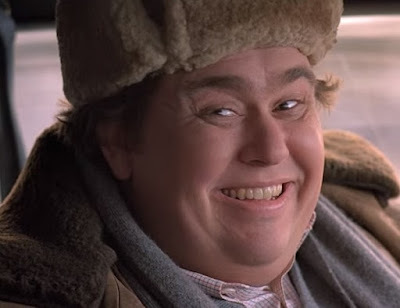 Our choice was Uncle Buck, starring the late John Candy. We’d recorded the film over Christmas and thoroughly enjoyed the first 63 minutes. Unfortunately, the recording was only 63 minutes long. The remaining 36 minutes were nowhere to be seen. We looked everywhere, even under the sofa, but at least we found the missing socks and gloves. To help deal with our loss, we ordered the DVD from Amazon which we’re now planning to watch tomorrow. Wish us luck. 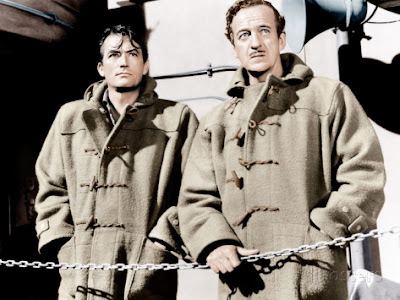 Not wanting to feel jinxed when it comes to watching films, on Monday evening I sat down to watch The Guns of Navarone which is set in World War Two. I’ve never watched it before and I really enjoyed it. It stars Gregory Peck and David Niven, which is always a pleasant experience. As well as the usual war caper plot lines involving explosions, impersonating Nazi officers and good old-fashioned double-crossing. This week has been productive as far as writing goes. 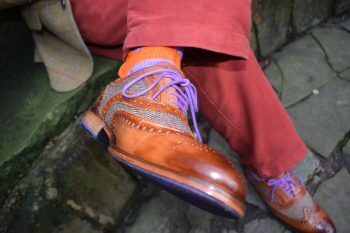 I put the finishing touches to my sixth article for the Vintage Dancer website, this is all about the humble sock. I've also almost finished a second one which is on the history of gloves. So far, my articles for Vintage Dancer have included outfits ideas for the 1900s, 1930s, 1950s and 1960s along with 1940s suit history and styling tips. Do keep an eye out for more of my articles on the Vintage Dancer website. It's been a while since I ordered anything from Messrs E & Bay but last week, I managed to win a reproduction N1 deck jacket for a bargain price. Very pleased I am too. I may dedicate a blog post to the deck jacket, but for those that aren't aware, the N1 was produced for the US navy during World War Two and was also famously worn by old blue eyes himself, Paul Newman. Fair warning, soon I’ll be bringing out my own range of sauces. 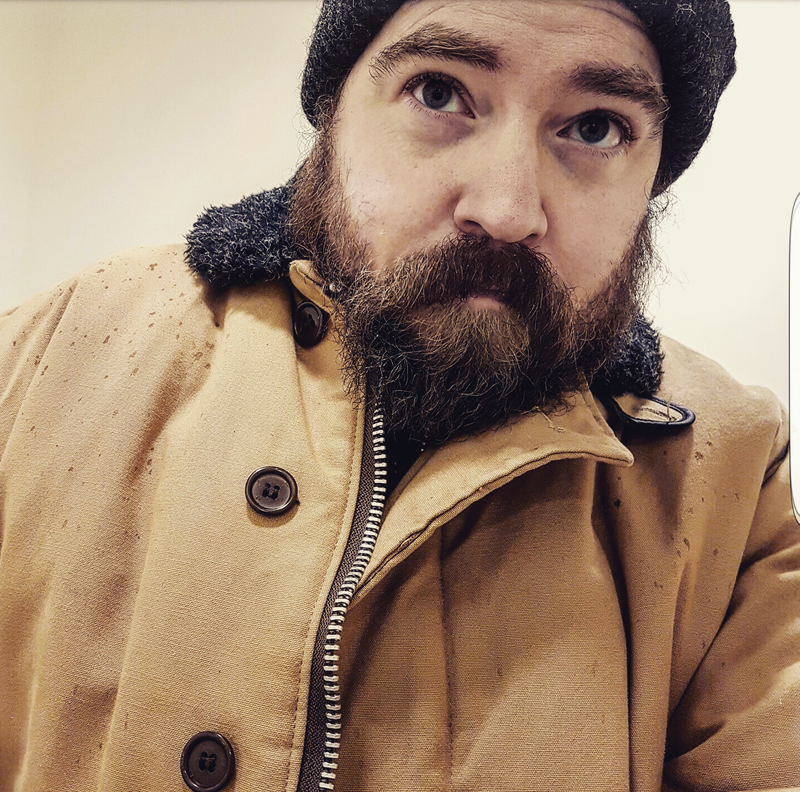 Not content with treating myself to a jacket but I also splashed the cash on a warm wooly jumper which I will no doubt share with you too. It is winter, after all. 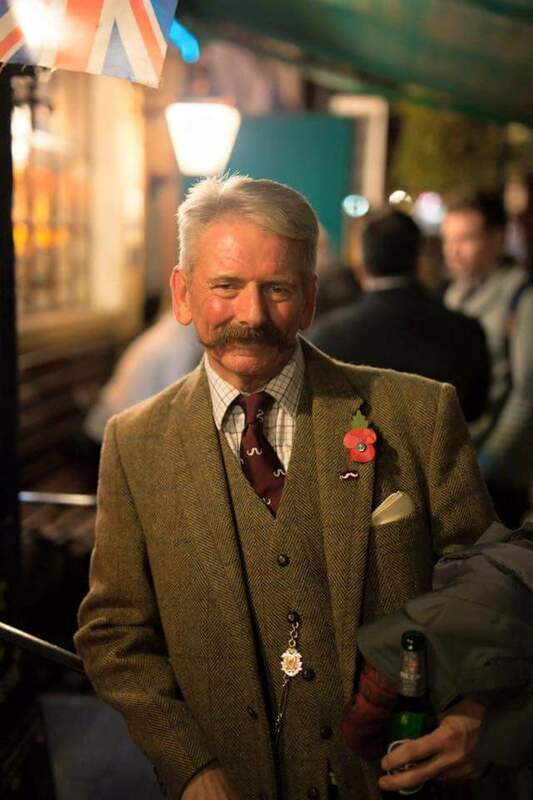 I discovered this week that a dear friend, Handlebar Club member John Satchell, passed away on Sunday. He’d been fighting illness for some time. John was a true gentleman, incredibly stylish and had that all too rare quality of being incredibly and genuinely kind. I only met him on two occasions but feel privileged to have done so. My condolences to his wife, Sue and family. Following the sad news about John, I had a really bright moment this week to put a smile back on my face. Completely unexpectedly, on Thursday my beloved presented me with a new silk pocket square from Cravat Club. She secretly ordered it after she read a Twitter conversation with Cravat Club the day before. Intending to give it to me as a very generous birthday present (my birthday isn’t until April), she was so excited that she crumbled and decided to give it to me now. I was absolutely flabbergasted. 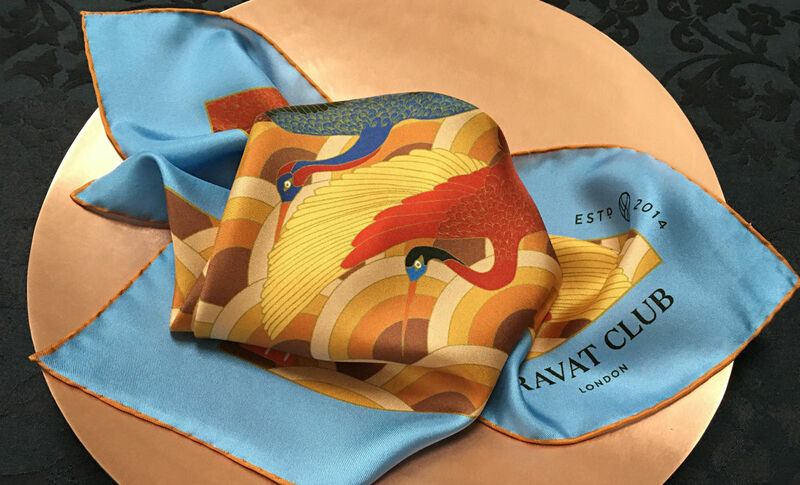 Given that a little more than 24 hours had passed since declaring the pocket square as my favourite of Cravat Club’s new Ukiyo-e collection, it took a while for the penny to drop. For quite some time, I was convinced that it was all a massive coincidence. I’m still shocked about it now. My beloved was so kind and thoughtful to have bestowed me such a gift. I really am a very lucky aspiring gentleman. And what incredible service from Cravat Club! Well there you have it, chumrades. That was my last seven days. John used to read my little corner of the internet so it seemed fitting to say goodbye here. Seems like a mixture of highs and lows. I'm sorry to hear about your friend. And I look forward to seeing how you style your cravat. Thank you, Mim! Yes, a week of highs and lows, but such is life. I quite enjoyed this diary format, perhaps I'll wheel it out again in the future.